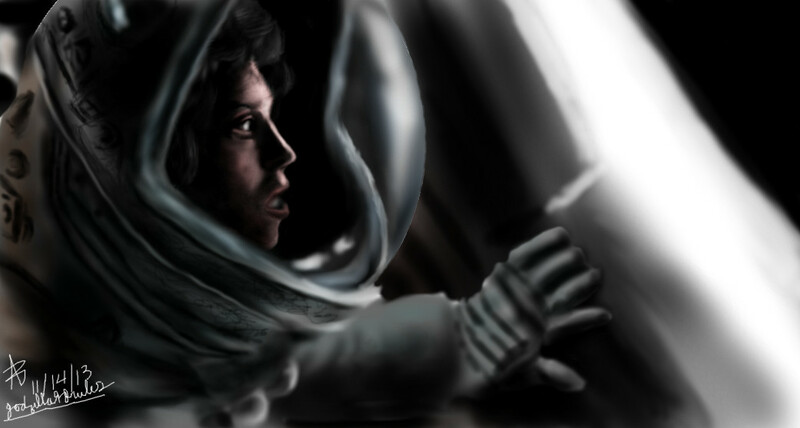 I decided to do another portrait, this time of the star of the famous 1979 movie ALIEN. This is my latest digital painting as of this post (11/14/13). This painting shows my improving portrait skills, and was rather easy to paint because of it being mostly one color.